Nominate us for a Yeggie! 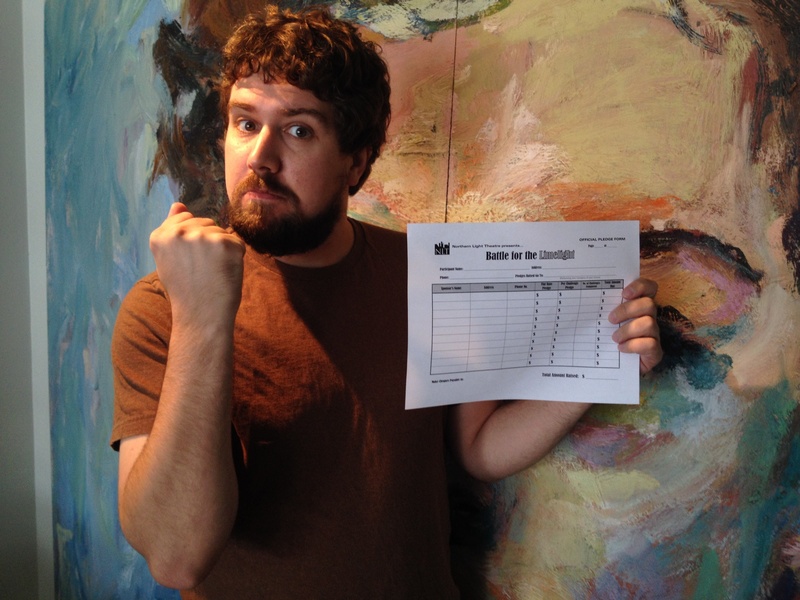 The Yeggie nominations have begun! The yeggies are Edmonton’s new media awards given to the best in various fields related to online media. Guess what? 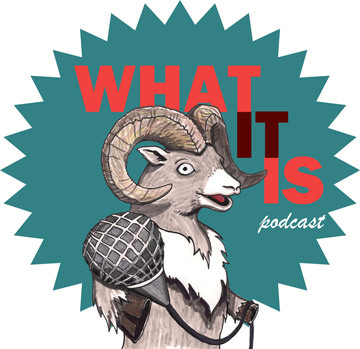 The What It Is podcast is TOTALLY eligible for an award. Visit yeggies.com to fill out a nomination form. CLICK HERE to get started. Need some help filling out the form? Here’s how we would do it. Why: Totally your call. Write as little or as much as you like. Thanks! Thank you so much to our listeners for all of the support in 2014! Our friends at Northern Light Theatre are challenging every theatre company in town to raise pledges to compete in the FIRST ANNUAL Battle for the Limelight. Think Amazing Race but with less running, centered in Edmonton and involving the city’s theatre companies. Each team is responsible for raising pledges ($$$$) and then dedicating those pledges to the arts organization of their choice. The crew from the What It Is podcast will be competing! We may not have a fierce sense of competition (we are mostly pacifists) we are dedicated to raising some pledges for our pals over at Theatre Network. To pledge directly to Theatre Network and the Theatre Podwork team contact Taylor via email info@theatrenetwork.ca or call 780.453.2440 and let us know how much you want to pledge! Your donations go right back into supporting the further operations of Theatre Network. We need your pledges by Friday September 5th (This Friday) so give us a call or drop us an email to lend your support! For more information on Battle for the Limelight CLICK HERE. We had the plan of doing live shows a long while ago and last night was an amazing experience for myself, Brian and Chris. We had never done anything like this EVER so it was a total experiment. Just like with most experiments we were really hitting all the right marks at some points and making a few errors along the way but that’s what Nextfest was for. The freedom that Nextfest allows enables us to take risks and try things that are completely new and different. So, thanks to them for having us. -The simple energy of each of my 20+ guests. Everyone was completely different and interesting in their own way. -Whyte Heat made the show with their tunes. Thanks so much to them for the incidental tuneage. -The audience that hung out until the end. It was a marathon for myself and the audience. Thanks to those that stayed. -The first episode of The Cause of All Suffering: The Adventures of Kensington King, Dupe Jalopy and Tabaka. Want to find out what happens next? You’ll have to check out the remaining What It Is podcast LIVE shows. -Knowing that we had three more shows to go. The things we know about so you don’t need to tell us. -A mic cut out unexpectedly during The Cause of All Suffering. -The show was long. We should have shortened the interviews and had more fun with the air horn. Matt Schuurman‘s interview is quite the highlight in this regard. -Some of the weird questions I asked threw the guests off. My apologies to those that felt put on the spot. The strongest interviews of the night were the ones that followed a natural patter. Kind of like what we do on the show. If anything, you should listen to the show if you want to get a crazy feature on Nextfest and all its artists. If there is one thing we nailed last night it’s that THIS IS NEXTFEST! After the music performance on June 6th (approx. 8:45pm, while What It Is podcast LIVE is setting up) please meet inside The Roxy Theatre and sit in the front two rows. We will only have time to interview one representative from each performance or installation. All disciplines (theatre, dance, visual arts, music, niteclubs, high school artists) are welcome and encouraged to attend! PS: You must be a Nextfest artist to participate in case that wasn’t clear.